Have you ever needed help making a decision about your career? Maybe you want to know whether you should take a job offer. Maybe you want advice that helps you improve interoffice relationships. Or maybe you just want to know how you can make changes in your work-life balance so you can improve your stress management skills. Talking to a career psychic could help you choose a path that suits your personality and lifestyle. What Topics Do Career Psychics Cover? Psychic phone readings make it easier for people to understand these issues so they can make smarter career choices that lead to greater success. What Type of Career Psychic Should You Use? There are many types of career psychics, so you should choose the one that fits your needs and beliefs best. For instance, if you believe that spirits can help direct your life, you might want to speak with a medium or angel card reader. If you put more faith in readings based on observable science, then consider using a numerologist or astrologer. Psychics can provide accurate readings over the phone, online, or via email. Search for a psychic you can trust, then choose a communication option that works well for you. You'll have a chance to talk or write with a professional career psychic within minutes. How Do Career Psychics Work? That depends on which type of authentic psychic reading you prefer. Tarot card readers have been practicing the craft since the 15th century. The psychic may have you think about a question or ask a question out loud. He or she will then consult the cards to find relevant patterns and symbols. After interpreting these symbols, you should have a clearer vision of your career path. Astrologers provide a similar service, except they use the stars to uncover important aspects of your past, present, and future. Understanding how celestial bodies influence your life should show you how to make choices that will further your career. An astrological reading could also provide insight into what you need to build a fulfilling career that gives you emotional rewards as well as good financial compensation. Psychic mediums have the ability to communicate with spirits, often including decreased loved ones and even angels. This lets them get career advice from beings that have deeper insights into the future. If you want advice from a deceased parent or spouse, this is a great option. It not only helps you make career decisions but can provide stress relief by giving you advice from loved ones you trust. 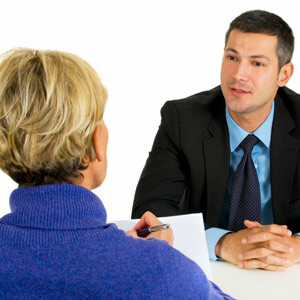 For an accurate reading, you need a real psychic experienced in giving career advice. You have plenty of psychic options to consider. Which one sounds like the best fit for you?